To support future lifesaving air ambulance operations, Midlands Air Ambulance Charity is investing in a new, upgraded helicopter, which will enter the fleet in January 2018. 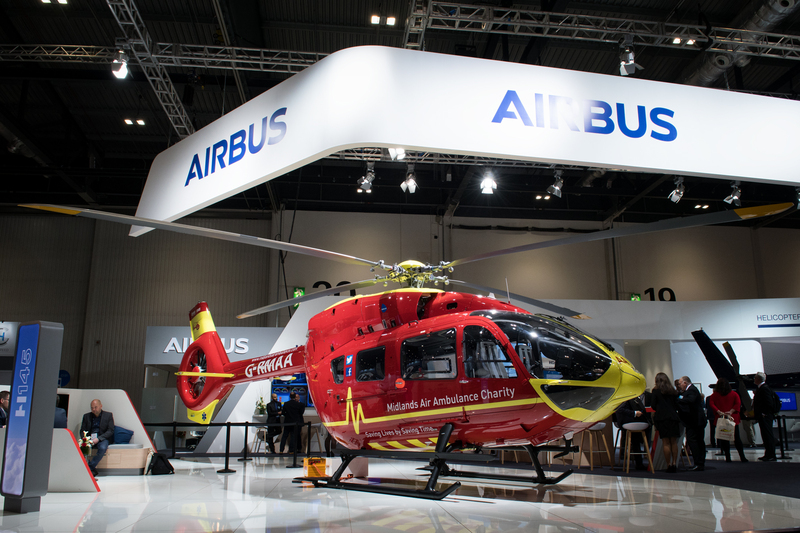 Work is currently underway on the new, larger H145 Airbus helicopter, which was originally built at Airbus’ headquarters in Donauwörth, Germany. It undertook its first flight earlier this month as it travelled to the UK to undergo a medical equipment fit out at Midlands Air Ambulance Charity’s aviation partner, Babcock Mission Critical Services’ headquarters in Staverton, Gloucestershire. Hanna Sebright, Chief Executive for Midlands Air Ambulance Charity, said, “We are pleased that progress of the new state-of-the-art H145 helicopter is on schedule. We made the strategic decision to invest in the larger, £7m, helicopter to further develop our clinical and operational service, to allow us to continue to offer exceptional pre-hospital patient care. Registered as G-RMAA, the new helicopter will become operational in January 2018 from the charity’s RAF Cosford airbase in Shropshire. The new air ambulance helicopter will provide a great number of benefits to patient care within the Midlands. It will be able to travel greater distances without the need for refuelling and enable the aircrew to respond even faster due to increased speed capability. The larger interior means additional aircrew can be flown to major incident scenes, and will also enable improved medical equipment to be carried on board to treat more complex emergencies. The charity currently owns one EC135 helicopter, and leases two further EC135 models from Babcock Mission Critical Services. The charity will retain one leased aircraft, while the second leased aircraft will be replaced by G-RMAA.